Sephra’s newest offering is its liquid caramel which can be used to accent desserts or be the main attraction in your chocolate fountain. Caramel Fondue: The Easy Way! 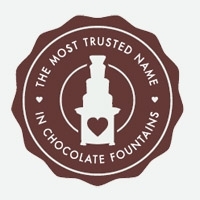 Sephra’s new liquid caramel is perfect for your chocolate fountain. You simply add the liquid caramel to your chocolate fountain, thin with water until the consistency is right, and enjoy! Sephra’s liquid caramel definitely doesn’t sacrifice taste for convenience. This liquid caramel tastes rich and buttery, just like it was cooked slowly over a hot stove. The liquid caramel comes in a re-sealable five-pound tub so you can use as little or as much as you need each time. Now that Sephra offers this easy solution to running warm, gooey caramel through your chocolate fountain, you can focus on choosing some fabulous dipping treats to go with your liquid caramel fondue. For instance, crisp green apple slices taste even better dipped in caramel fondue, as do brownie bites, chocolate covered pretzels, vanilla pound cake bites and chocolate cheesecake bites. This holiday season, take advantage of Sephra’s easy liquid caramel fondue and impress your friends and family with a delicious evening filled with warmth, laughter and dessert.